The Labour Party’s longlist of candidates for the Manchester Gorton selection contest has been revealed by the news site WriteYou. There are no surprises to be had so far. Sam Wheeler, from Abbey Hey in Gorton, is the preferred candidate of Unite and many new members, who make up 60% of the CLP, and is on the longlist. Candidates from the right of the party include former Morecambe PPC Amina Lone and MEP Afzal Khan, the latter of whom has failed to win multiple previous parliamentary selection contests including in Oldham and Bradford. The long-listing was compiled by NEC members Glenis Willmott MEP, Shabana Mahmood MP, Keith Vaz MP, TSSA’s Andi Fox and CLP rep, Claudia Webbe. The next stage in the selection contest will be a shortlist compiled on Monday, followed by a hustings and final vote at a selection meeting on Wednesday 22nd of March. So far the , endemic local corruption-infused and motivated, Labour Right machine has managed to block the selection of a single “Corbynite” candidate in any by-election. In fact, with the replacement of the deceased Michael Meacher MP in Oldham by a rabid Right winger, the post 2015 Corbyn Leadership victory PLP is MORE Right dominated than it was then ! The Right are making monkeys of our now supposedly massively “Corbynite” majority Labour party , via their better organisation and motivation. Admittedly the Labour Right at council level (never mind the PLP) are riddled with many forms of personal corruption, financial and careerist, so there is a direct personal motivation to turn up at local meetings that perhaps doesn’t exist for the , often naively idealistic, mainly Left liberal, (rather than the hard politically experienced, radical socialists we really need) , inexperienced newer “Corbynista” members. 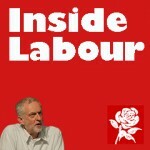 Nevertheless, from personal observation of the total non-involvement of most of the “Corbyn insurgency” new members in any way at all, in my CLP, the question has to be asked of most of the newer , supposedly “Corbyn-supporting” members ; “just how committed to fighting for a better, fairer, society are you, if you can’t even turn up at a candidate selection meeting to support a Left candidate ?” Beyond clicking a keyboard to vote for Jeremy , twice in 18 months ? Hi Unidentified I take it you don’t know anything about Manchester or you wouldn’t have posted a view based on nothing but ignorance of the area. You make assumptions about the politics based solely on the fact the people shortlisted are Councillors. There isn’t a binary pro Corbyn or not even though you wished to be so. Julie Reid for example is a staunch supporter of the Corbyn leadership and obviously the party machine that is now Corbyn led didn’t want her or they wouldn’t have been canvassing support for another candidate. Don’t get pious about party manipulation because it cuts both ways and the Corbyn machine is no more pure than any other. Just speak to local Momemtum members in Gorton. This sort of attitude encourages no-one to participate – the Labour Rule Book and admin structure feels so Byzantine that it would be nice to have some accessible sources that might help. I have been to several meetings but find then crushingly boring, uninspiring and thoroughly set in their completely inaccessible ways – none of which encourages me to actually remain a member of the Labour Party which just seems so corrupt and unpleasant. I’d rather be a member of a new party that seemed to be going somewhere, and actually wanted me to be a member. Martyn, the attitudes that you talk about, are ingrained and have come about because the Labour Party has a long history. If you’re new to it, you have to accept that you’re coming into something that actually mostly doesn’t want to welcome you. If you want change, you’ve got to grit your teeth, find allies and dig in. Go to the boring meetings and work towards changing them. Giving up and going to the LibDems or Greens is your choice, but you’ll have less chance to change things, even if they are more welcoming. JohnP, complaints about new members are misplaced. Many haven’t even been contacted by their local parties yet. Erm, something to do with central bureaucracy not having released names to them…, possibly to keep Corbyn supporters inactive? The same bureaucrats have nobbled Corbyn financially (as well as in all the other ways) by *halving* the funding to the leaders office (as compared to Ed Miliband). Now why would a party flush with the cash of new members and supporters do that? The most essential to-do is to clear out the corrupt right-wing neoliberals running the damn party machine. Comments such as yours are the reason why I have left the party after 42 years. Sadly Corbyn has failed to provide any form of opposition to an inept government and conspiracy theories to say it is all a plot hold no water. I have a great local Labour MP but as a ward treasurer we hardly ever saw any of our new members, no doubt Corbyn supporters, although we contacted them assiduously seeking their attendance at meetings. Should that be the story and not a conspiracy against Corbyn. A party that in many parts of the country is failing to energise its grass roots. Upon resignation the party has been very quick to chase me over membership fees from its central office so I doubt ineptitude there – rather the opposite. Good luck for the future – you shall need it. Now why would you leave the Party because people are critical of the bureaucracy? Regarding the new members that you never saw, even though you contacted them assiduously – can you tell me how you contacted them? Many people who joined the Party because of Corbyn, had had no experience of political action before, and needed to speak to someone before they would have had the confidence to walk into a meeting. Then there’s a multitude of reasons why people don’t come to meetings – can’t afford transport, child-care, shift-work. My statement about the general inactivity of most of the new “Corbyn wave” members is definitely NOT misplaced, Shirley. The old guard in the CLPs have been deliberately very unwelcoming in many CLPs (and in a local branch near me the old guard have moved to quarterly meetings to further isolate the newer members), but that simply doesn’t excuse the ample evidence that far too many of the “Corbynistas” are indeed merely “clickactivists” as the Right mockingly claim. In my CLP, we have had about 350 new members over the 18 month “Corbyn wave” period, across our two branches. Much effort has been expended to contact and involve them. I would estimate that no more than about 30 have actually become even marginally active. From reports I see , including a good one in yesterday’s Morning Star, this is pretty typical. The Labour Right are indeed a bunch of devious manipulators – but don’t blame them for our widespread Left laziness and disorganisation. I think you’re doing rather well getting 30 people over the past year/18 months becoming active in the your two branches. You seem to forget that most people do not come from families that were politically active. They have no history of doing this kind of thing. It takes time for people to get involved. And they will get involved if the relationships they make within the group, are friendly, supportive and non-judgemental. I happen to live in a leafy constituency with a well-off, well educated demographic and with around 1000 new members, many of them professionals such as solicitors, professors, head teachers and the like. We saw this as a fantastic opportunity to transform the way the Party operates locally. For example, come local election time, instead of county council candidates cobbling together their own well meaning but ineffectual leaflet, new members would willingly provide their professional skills. And so on – it doesn’t take much imagination to see the benefit to the cause. Anyway, to cut a long story short, I’m still suspended for attempting to organise such radical activity, and for the May 4th council elections the standard well meaning but ineffectual leaflet has just been sent round. But I now don’t see this as about pro or anti Corbyn factions. It’s much worse than that, it’s ingrained into the Party’s political culture that someone trying to organise something like new member involvement is up to no good, that they have ulterior motives. In essence, it’s not just a Party machine problem it’s a deep-rooted culture problem and as such isn’t going to change anytime soon. Why is Keith Vaz involved? Surely he is damaged goods now. Maybe he is attempting a come back! Amina Lone is simply awful in relation to her politics and she blamed Labour being too left-wing for why she lost Morecambe (badly) in 2015 but failed to explain why if that was the case a socialist comrade like Cat Smith in next-door Lancaster could win (well), but I’ve never felt any particular antipathy for Afzal Khan who has done a decent job as an MEP I think (being one of his constituents). What does “doing a decent job in the neoliberal EU Parliament gravy train ” amount to , James? For instance, did he vote AGAINST the recent toxic CETA deal ? Many Labour MEPs voted FOR it ! If Afzal Khan isn’t definitely, provably, on the radical Corbynite Left he’s no use at all to us being added to the PLP anti Corbyn numbers. End of story. Incidentally, while the article implies that Sam Wheeler is the TU candidate, Khan has got the official backing of GMB, CWU and Usdaw so far, something that doesn’t surprise me as he has always been happy to support union campaigns. Backing from USDAW and the GMB is definitely not an indication that a candidate is a Left Winger. USDAW in particular are VERY anti Corbyn and anti Labour Left . I had lots of e-mails from USDAW during the leadership election. They certainly did not want me to vote for Corbyn. I did though! If the Labour Party puts up yet another right wing candidate we cannot vote or campaign for them. You cannot keep asking the newly radicalised young members to keep rooting for these New Labour scum and they are losers. So an Independent Socialist pledged to support the formation of a Corbyn government should the numbers be available after the next GE should stand on an explicitly socialist and radical programme so that the working class has someone to vote for. Well I hope that a reasonable short-list is given to the CLP, then I will back and campaign for whoever the CLP selects. I will not be supporting any sectarian stunts involving ‘independent’ candidates and split votes, the hopeless joke of Left Unity, Respect, Tusc et al has surely worn very thin now even for those that wasted their time in these outfits? Well it is not sectarian is it when you know in advance that these candidates if elected will not, WILL NOT, form a Labour government under Corbyn even if the numbers are there but are almost certainly to try to form a government of national unity and austerity. You have a strange view of what is sectarianism and of course the working class is not going to turn out to vote for these right wing clowns in any case so you won’t be splitting any votes or preventing a Labour government. The opposite in fact but you are determined to see the Labour Party electorally obliterated. Julie Reid for Gorton!!! As a former student of Councillor Reid’s and a new Labour supporter inspired by Jeremy Corbyn who lives in Manchester. I think a lot of peoples views on here are based on media bile rather than knowledge of Greater Manchester politics. I recently applied to be a councillor myself but lost out to another candidate. The good News is that the racist Jewish Labour Movement is ” carefully monitoring ” the selection process. People who lose often claim that defeat had nothing to do with them—Neil Kinnock and Hillary Clinton are two obvious examples. By contrast, Al Gore admitted that in a re-run he would do things differently. It shows that the Conservative victory was not inevitable and it looks at things that Labour got badly wrong. Absolutely nowhere does it say that Labour lost because it was ‘too left wing’.